Every hearty meal should be paired with a glass of exquisite wine. And just like a good red wine, in order to craft an exceptional product, you need to start with the best components. And so our Winterton Apron is crafted from the best quality top grain leather we can find. To further ensure the durability and quality of the apron the leather is hand stitched onto the woven cotton canvas by our team of local craftswomen. The apron is further fitted with solid cast brass which we import from the UK. The Winterton Apron is full of character and will only get better with every wear. Unlike a fabric apron, the Winterton will only get better with age, is easy to clean and will most certainly last a lifetime. We can further cutomise your Winterton Apron by laser engraving your business logo or by personalising your very own apron with your name or initials. Our solid cast brass is imported from the UK. Hand made and made to last, our craftswomen strive to deliver an experience in product quality that embodies the essence of Africa. 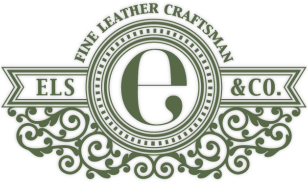 From experience we know that leather is regarded as one of the most effective materials for protective wear. The durability of our aprons make them very versatile and customisable for your specific craft. May it be for chefs, barristers, woodworkers, barbers, jewelers or even sculptors, we can design an apron to suit your craft upon order.